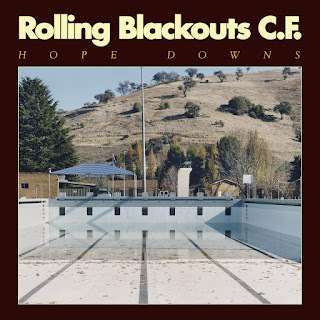 We live for up-tempo guitar pop, and right now Melbourne's Rolling Blackouts Coastal Fever are creating some of the best up-tempo guitar pop on the planet. This may strike you as a surprising claim about a band that has just dropped their debut LP. 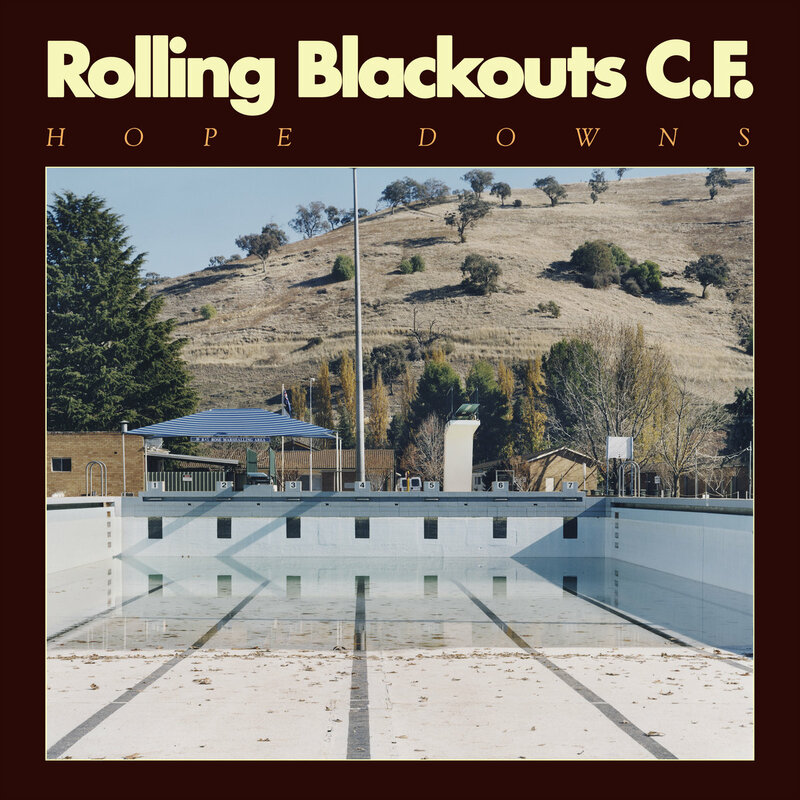 But we have seen this band live, we have worn out the electrons on their previous EPs, and we have had that new album - Hope Downs - blasting out of our speakers for a couple of months, so we are confident in our assessment. Hooks, passionate songwriting and able performances are in abundance here, with a consistency that demonstrates the value of having three songwriters on the roster. Those songwriters, Fran Keaney, Tom Russo, and Joe White, are joined by Joe Russo and Marcel Tussie. The songs adroitly walk the line between urgency and pleasure, with robust but breezy arrangements, just as the guitars alternate among jangling, chunky and spiky riffs. Lyrically, the album addresses the uncertainties and fears of the current state of the world (the album title is taken from the name of a large open pit mine, the edge of which invites you to stare down into the abyss), but rarely has disillusionment been presented in such warm, inviting colors. In our view, this is a fantastic opening LP from a promising band, but most importantly for all of you, it is an album you will never regret adding to your collection. Hope Downs is out now via Sub Pop Records.